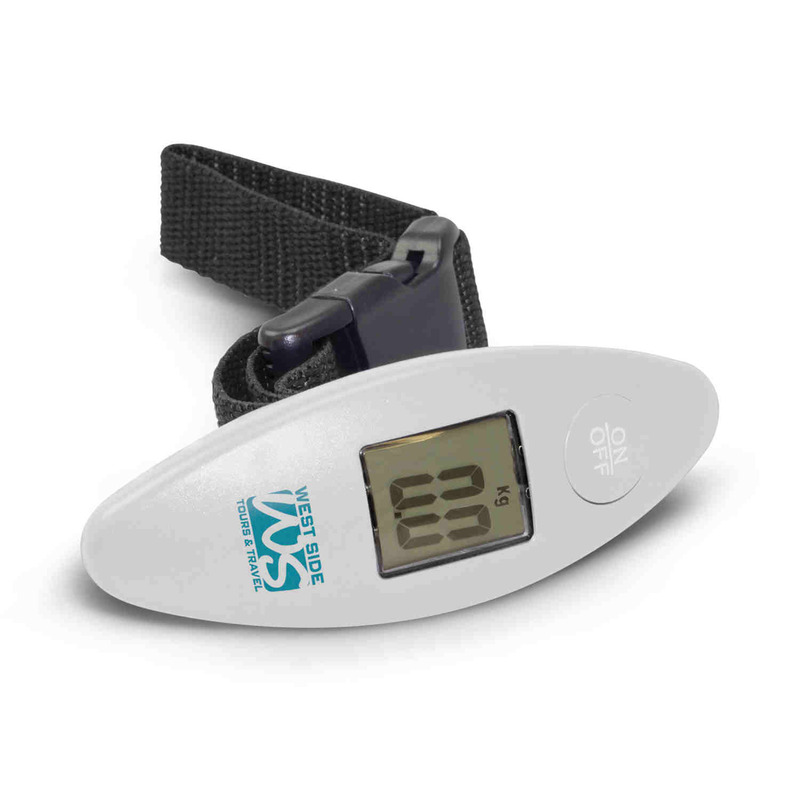 A travel luggage scale with your logo printed branding that will weigh up to 40kg. An underestimated product that could save you a fortune on your next flight. Accurately weights suitcases up to 40kg allowing you to prevent those hefty excess baggage charges. Its durable, compact design makes it easy to store and comes supplied with a replaceable button cell battery with a set of instructions in individual boxes.